Forgive me for abandoning you. I have no real excuse, but I can explain. In the early days of iPhone games, I was convinced I could never love one like you. You required a kind of finesse that I had no desire to give. I wanted buttons – you required touch. I played Angry Birds in those days, because I needed something to pass the time. But my heart was not truly given to Angry Birds. In those days my heart belonged to my consoles. I was in awe of Red Dead Redemption – I’ll never forget the way that game challenged my cynical assumptions with one moment while crossing over to Mexico, watching the sun set and listening to an acoustic ballad so melancholy. I knew in that moment that this was a game I would never forget. I played Burnout Paradise for a year straight, and spent my time playing online with nice people whom I didn’t know. I marveled over BioShock and wept when I finished BioShock 2. Games like those got me excited about videogames again. I started writing about games after discovering resonant experiences like Portal, Braid and Left 4 Dead. I played them a lot, but I thought about them more. The feeling I got from those games stays with me, even today. But I got busy, and ran out of time to really enjoy games like those as often as I would like. Still, I was infatuated with the medium, so I sought out alternatives. In the early days of the iPhone, we all found hope in games like Canabalt and Spider. They both resonate with me still today. Canabalt put us in the mindset of that faceless hero desperately attempting to escape from an apocalyptic reign of robotic creatures. The immediate environmental concerns dominate the moment as we jump across skyscrapers and billboards; the robots themselves never show up. Canabalt captures a moment in time and sears it into our brain. Facing down those giant robots is a challenge for another time. 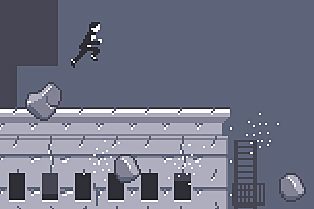 Canabalt is about the bare minimum of that moment of survival: to avoid falling to your death or being crushed by uncaring and inanimate debris. Spider perfected storytelling on the iPhone. It left the pacing, method and degree of discovery entirely up to the player and his current availability. 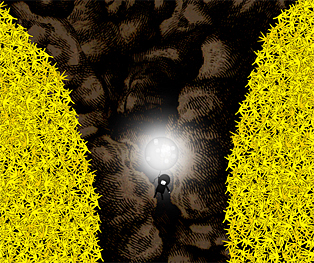 The player crawls around an abandoned mansion, stumbling upon a tale of genuine heartbreak and tragedy. 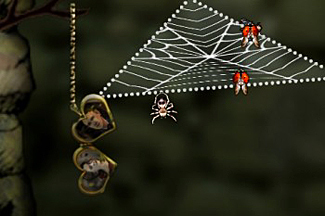 The game emphasized the transient nature of these life-changing events by emphasizing with the gameplay the spider’s ultimate lack of concern for trophies, wedding rings, leftover alcoholic drinks. They are mere stepping stones. I still revisit these games today. They linger in my mind like great works of art. They may be simple on their face, but they contain a kind of timeless embedded meaning: Canabalt, with its sense of momentary intense stress, serves as a reminder to focus on the here and now; Spider with its reminder of the brutal meaninglessness of our worldly legacy. But most importantly, those were the early days, when great iPhone games were few and far between. I’m sorry to say that as time went on, it became harder to devote my time to those of you that demanded it. Every Wednesday night, I’d wait breathless to see what game would capture my attention. I wondered when the next Canabalt or Spider might arrive, and by midnight I would be sure I had found it. I fell in love with so many games over the past couple of years. Rat on a Skateboard showed me what pure, unadulterated and goofy joy could look like on a mobile-gaming device. I felt young again. 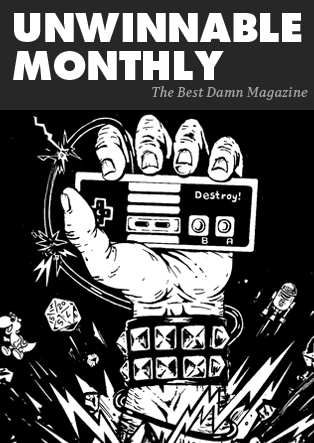 I found delight in the singular, serious silliness of Jeff Minter’s Llamasoft series of games, and rediscovered the value of fighting my friends for leaderboard dominance. I wanted those games to like me back. I found refuge in the slow, methodical pace of the strange, surreal Sir Benfro’s Brilliant Balloon. I was sure that game knew something I didn’t, and I wanted to know what it was. 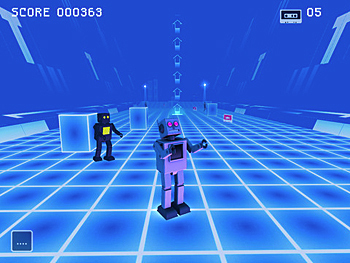 I literally freaked out for an entire weekend because of the minimalist gameplay of Cubes. It made me feel obsessed in a way no other iPhone game had in quite a while. I wanted to proclaim my love for it from the hills. I settled for Twitter. The minimal aesthetic of Love Me Not that seemed not to care if I liked it or not; the clever, measured word-play of Lumicon that won me over with its wittiness. My love-hate relationship with Tiny Tower and Pocket Planes went down in flames. Today I can feel myself slowly growing distant from Happy Street, partially because Puzzle Craft seems to be the more interesting world-building game. It’s less domineering and hand-holding. Puzzle Craft respects me as my own person. Can you see my problem? I love each of you from the bottom of my heart, but you deserve better. I can only truly devote myself to you for one week, at the most. By then I’ve found something new, if not better. I keep you all around on my iPhone, in folders called “Favorites” and “Classic” and “Classic 2,” but when I revisit these folders, all I can do is go back to my first loves. I often dwell on Spider. I often go back to Canabalt. I think of Red Dead Redemption and that moment with the music and the sunset. 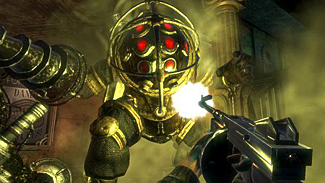 I think of BioShock’s sucker-punch twist that pointed its finger at me as a player. I remember Braid’s accusing story of heartbreak. These games represented eras in my life – not weeks. In the days of consoles, I would buy a game for $15-$50 and play it for months. It felt like an investment. Now, I buy you just to try you out. I pay a dollar while you’re on sale. I dedicate five minutes to you and move on to the next. I come back to you the next day, and play for one minute. I feel confident that I’ve gotten enough out of you. I don’t toss you out, but I neglect you. It’s not that I don’t love you. I proclaim my love for you to my followers and friends every week. But then – and I am so sorry for this – I forget about you. I leave you on the fourth page of my iPhone. Maybe one day the steady stream of beautiful games will slow, and I will be able to devote myself to some of you. Maybe one day I will learn restraint and patience and will cease to be overcome with a love for novelty. That day is not today. I already have a date with a beautiful game called Super Hexagon. I loved you dearly, Swift Stitch, but it’s time to move on. Richard Clark is always falling in love at the drop of a hat on Twitter @DeadYetLiving.